What's The Difference Between Running Your Blog On Wordpress.com & Wordpress.org? What’s The Difference Between Running Your Blog On WordPress.com & WordPress.org? This question comes up a lot, so I’ve decided to write a definitive guide. If you’re too lazy to read 1,000 odd words – and that’s cool, I won’t judge, I know we live in a world of 140 characters limit – then here’s an easy to understand set of bullet points for you. No charges for increased traffic, useful for getting on the front page of Reddit. No need to manage a server, or touch FTP. Limited choice of themes, plugins, and settings. You can’t make any money through advertising. Custom domain costs $25/year and is essential for future proofing. Customize themes and plugins, or code your own. Heightened security risks from malicious themes, plugins and core hacks. No one will help you if things go wrong. Depending on your hosting, costs may be on you when additional bandwidth is needed. Slower at the cheap end; you need to expend effort and money for a fast self-hosted site. Explaining the difference between the two is actually quite easy, but choosing between them may prove more difficult. WordPress.com is a hosted blogging platform – which means the WordPress.com site hosts your blog for you. Similar to Blogger or Tumblr, you are free to focus on your blog posts without a care in the world for how the system actually works. It is by far the easiest way to get a blog up and running for a complete beginner. 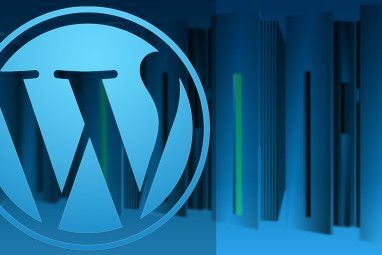 WordPress.org is where you can download the open source version of the software that drives WordPress.com – you can upload this to your own web hosting and run everything yourself. It really depends upon you. 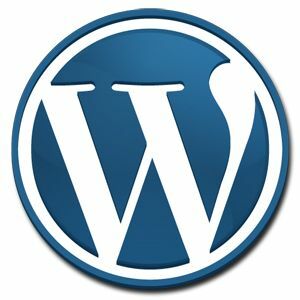 A hosted WordPress.com blog will handle all the technical aspects, but this means you’re only given a limited set of plugins and themes from which to choose. You get what you’re given, and that’s it. Chances are, if you find a cool “Wordpress plugin” (such as those on our list of best WordPress plugins ever), you won’t be able to use it. 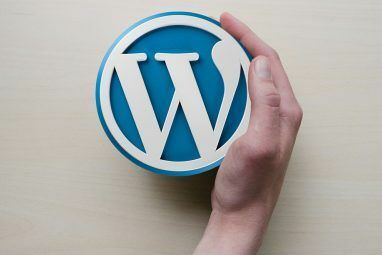 As a result, WordPress.com sites tend to be somewhat “cookie cutter” – you can tell when a site is hosted on a free blogging platform, and it may affect your perception of that site. 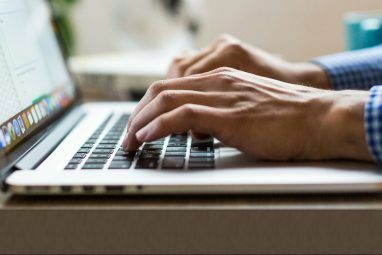 Personally, I give more credence to something I read on a “real website” – after all, anyone can start a free blog and write anything they like pretty easily. A basic WordPress.com is completely free, but you’re going to be stuck with http://yourdomain.wordpress.com, which is basically the worst thing in the world you could ever do. Why? For the simple reason that if your blog ever gains some traction, and you want to add advertising and host elsewhere – get a little more creative control over everything – you’ll lose all the SEO value and traffic you’ve built up to that point. At the very least, you should purchase a custom domain for your WordPress.com site – but this is an optional upgrade that costs $25/year. On the other hand, the cost of purchasing your own web hosting on which to install WordPress.org varies wildly depending on your needs. Personally, I pay $100/month for a virtual private server The Various Forms Of Website Hosting Explained [Technology Explained] The Various Forms Of Website Hosting Explained [Technology Explained] Read More upon which I can host up to 100 of my own domains and WordPress sites, with full control over the server architecture – and it can easily handle a few hundred thousand pageviews a month. That’s a little more than most people will want to spend of course, but remember if your blog is popular the advertising will pay for all that and much more. On the lowest end of the hosting scale, GoDaddy has some ridiculously cheap unlimited hosting for about $5/month (though I really don’t recommend them for anything other than just buying domains). Luckily, we’ve compiled a list of the best web hosts here, so you needn’t spend too long looking around. The point is though – hosting your own WordPress.org will cost money. How Much Effort Are You Willing To Put In & Are You Happy To Learn? With a WordPress.com hosted site you’ll never need to worry about upgrading plugins or core WordPress files, because it’ll all be done for you. You won’t need to scramble to upgrade when a new security exploit is found, and you’ll never have to wake up to find your entire site has been overtaken by Russian hackers and is currently redirecting everyone to an obscure scam phishing site. You won’t need to double check any themes you install for malicious links and obfuscated code – because they won’t be available to you in the first place. When you host your own WordPress.org site, you are of course free to install any plugin or theme you want – so malicious code is something you need to be aware of. Thankfully, WordPress now has an bright yellow warning at the top of the admin panel if a core upgrade is available – either for new features or security patches – but when you manage hundreds of sites, those upgrades can be overlooked for quite a long time. There is a security risk in hosting your own site – no doubt – but regular backups, keeping up to date, and sticking to only themes and plugins found on the WordPress repository can mitigate this risk 99%. Sometimes though, you will need to dip into FTP or the command line on your server in order to fix things. If you’re not willing to do a few Google searches to figure out why your site is currently showing a blank page, for instance, it’s best you just stick to WordPress.com. Things can and will go wrong with a self hosted install, and it’ll be on you to fix them. Scalability should also be mentioned – if you hit the front page of Digg Reddit for instance, you’re going to see a huge influx of traffic just dying to see your new cat meme. If you were hosted with WordPress.com, there would be no problems. WordPress.com is built on cloud hosting, and whether you have one visitor a day or a million, it will cope just fine. You won’t need to pay overage charges for additional bandwidth. If you were self hosted on a budget web host, your website would simply collapse. Still Can’t Decide – Just Make This Choice Easy, OK? Do you just want to write? If the sole purpose of getting a blog is to provide a creative outlet for those thousands of words that pour from your mind everyday, WordPress.com will handle your needs just fine. If however, you want to create a popular and profitable website, something you can perhaps learn a little web development on, experiment with different plugins and have full control over – then you’re looking at WordPress.org. If you do decide to go the self-hosted route, my complete guide to WordPress is also pretty much essential reading. I hope that’s explained things clearly for you. If you have any question, or you think I’ve missed out some important differences, then please do add them in the comments because we’d love to hear from you. I have a question. First promise me you will not be mad at me reading this question. I was wondering, if I can go for free hosting sites like 000webhost etc and avoid paying for the hosting altogether. I know what you would ask next. See, I am looking at a webpage which has a landing page, a page or two to showcase my work - which will have only a couple of pictures (reduced size) and one contact page. That's it! Not much of text or writing. I want this to be a profile or portfolio and I would direct people to this site myself - not looking for people to search me on the net. Can you now suggest, if I can go with free hosting? If YES (I am sure you won't say Yes, though) will these site support WordPress.org themes and plugins? I'm very novice and I need your help with the above. Thanks, for your time and effort. Possibly. But it'll be quite embarassing when you've given your professional link to someone and an advert is injected in the middle of page or a popup appears, as free hosts will commonly do. You'd be better off forgetting wordpress though, which would be completely overkill for what you need, and using something like http://flavors.me/ instead. Thanks for the information. This article really did help me understand the difference. Hello, I'm sorry I'm posting under the wrong article but under the right one the comments are closed already. I'm trying to make work sticky menu here http://roof-facade.com/ and I used all the options mentioned in the comments there, yet it doesn't work. Could you help please? Thank you. See how they're curly? They should be just plain ones like '. You'll need to search/replace those on all the script you copied. Apologies, that might be my fault with some code formatting issues as we recetnly switched the syntax hightlighting plugin. Hi, thanks for your promt reply. I fixed the marks but nothing changed. What else could it be? Has an error because there is no element with ID "access", which the default theme does have. Change that, and any other references elsewhere, to things which actually exist. Cleared cache, must be seen now. This is a good post, Bruce. If I remember, I'm going to share the URL in the chat room for WebApps or WordPress StackExchange. People ask the same question, "what's the difference between wordpress dot com v. dot org" over and over. I didn't understand, for nearly 6 six months, why I kept reading about the version updates for WordPress, and what I should do. (The answer was "nothing", as I had dot com, not dot org). "That’s a little more than most people will want to spend of course, but remember if your blog is popular the advertising will pay for all that and much more." I don't question why you'd do this. You said you can host up to 100 domains, and can accommodate 200,000+ page hits per month. Can advertising *REALLY* pay for that and then some? I'm sure it depends on what ads you use, but I don't know anyone who clicks on banner ads! There are lots of other sorts though. This was a good post. Electrical engineers are awesome!!! Hi Ellie, thanks for commenting. Advertising can absolutely pay for a VPS and more; my site receives 150k pageviews a month, and makes on average $1500 in ad revenue. The key difference is that I don't use Adsense or traditional banner ads, I use directly sold ad slots that I have complete control over (from http://buysellads.com ). Because my site is quite niche, and the ads are highly targeted and respectable, they perform excellently for the advertisers. Users dont hate them because they're relevant and non-spammy. Specifically, I only allow game ads, not gambling, not deceptive "download now" things, not autoplaying flash videos, not "lose belly fat now!" - just great, relevant ads for my readership. Most don't pay per click either - they are "rented" on a monthly basis, regardless of how mnay clicks or impressions they get. Wow, thank you so much for your prompt reply! I was curious what other articles you had written here. Under your author profile, there was one link with just your name, which took me straight to Google+. which was a long time ago (July 2012? ), you actually answered much of my question, the one that I asked here, earlier today! Someone else had asked you something similar, on that Conway's Game of Life post, even though it wasn't relevant. THAT is the sort of discovery, small world-effect that I like! Unless the search engines and social media/ machine learning/ natural language processing algorithms are more sophisticated than I realize.... No, I doubt that (I am your new Google+ follower). Thank you for informing me of so much useful knowledge today! P.S. I hope this doesn't embarrass you. It is true though! When I began using WordPress, I didn't realize it was usually hosted using one of these options, so I did what I knew to do, which was to host the sites on another server altogether. I have been using GoDaddy hosting for WordPress sites for years, and I did eventually learn of the WordPress official hosting. My point is, there are more than these 2 choices. WordPress can be hosted just about anywhere, and that makes this decision a little more complex, depending on your sites' purpose(s).I believe GoDaddy.com will provide free hosting with a domain registration, but it is very basic and carries some GoDaddy branding. Ordinary (non-branded) hosting can be had for well under $10 a month, and GoDaddy's self-installer for WordPress and other CMS-type managers do most of the work for you. BTW, I am not a GoDaddy employee, just a customer. I am currently on free blogspot. So if I move to wordpress.org, besides paying for domain and webhosting, do I need to pay for using wordpress too? Apart from domain and webhosting costs, will there be any extra costs for a beginner? WordPress itself is open source and completely free. There are thousands of free themes and plugins too, however you can also get premium themes and plugins. So short answer is no; long answer is that you can spend as much as you want to! Woah! 1 in 6? I did not expect to read that, even though I do use WordPress for my website. Excellent job on this article, James! I've never used wordpress so actually didn't realise there was any difference between the two, but this is helpful as I am soon to be transferring my mothers site over to wordpress. This is a good article. Since I am using Blogger (and happy about it) I would also like to see how Blogger compares to WordPress in terms of features, security, usability, etc. Blogger is an excellent choice, but considering Google's tendency to kill some applications at least once a year, I am , honestly, afraid to use any Google's services anymore, especially those essential to me such as Blogger. Have just launched my blog running wordpress on a raspberry pi server. It's not too bad takes a little time to load the pages but it's only a slightly cheaper alternative to paying for hosting. This has help simplified things greatly, Thanks! This always caused some confusion, thanks for the article. Which do you like better? And what is your blog address/about?